This timeless Flax New Dot™ print travels along the silky satin frame of our signature faux fur. 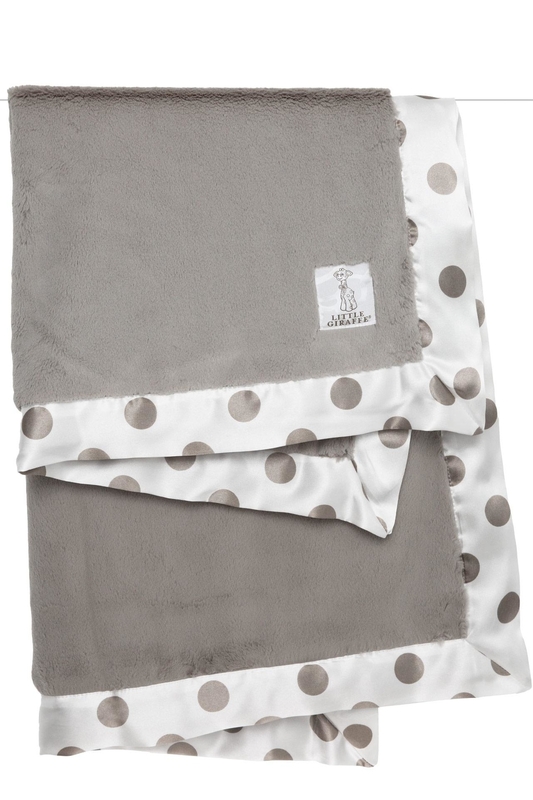 The Luxe New Dot™ Blanket is a classic piece for any modern nursery that both baby and mom will adore. 29" x 35"